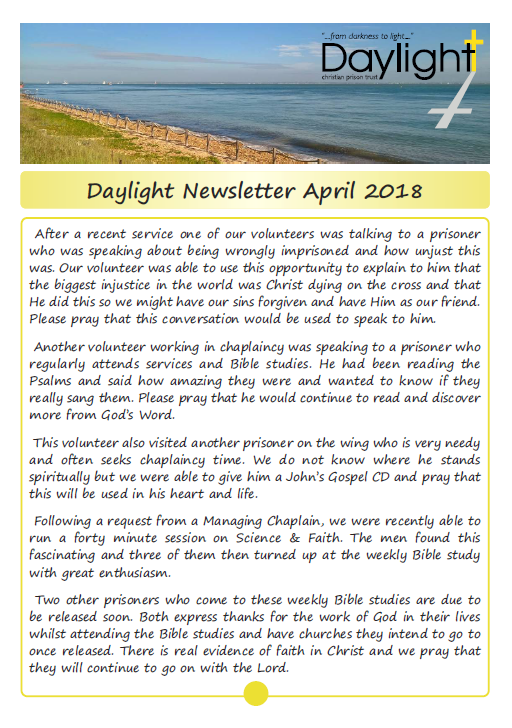 This month we look at conversations with prisoners that have been an encouragement to us and a recent opportunity to run a Science & Faith session. 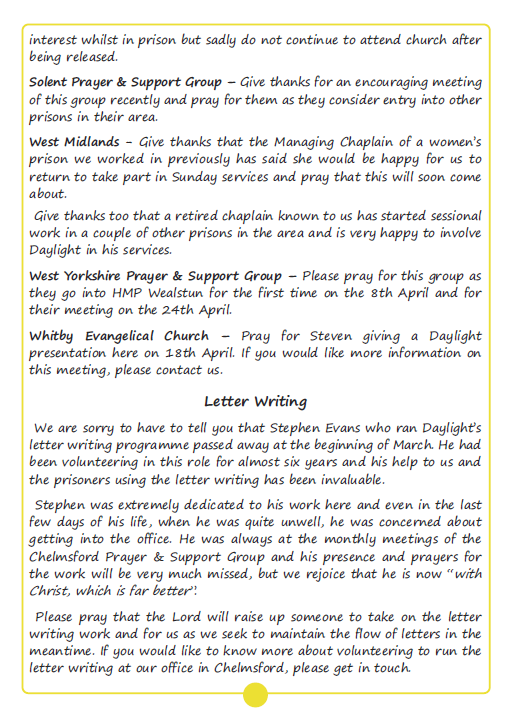 We also share something of two prisoners who are due to be released soon. 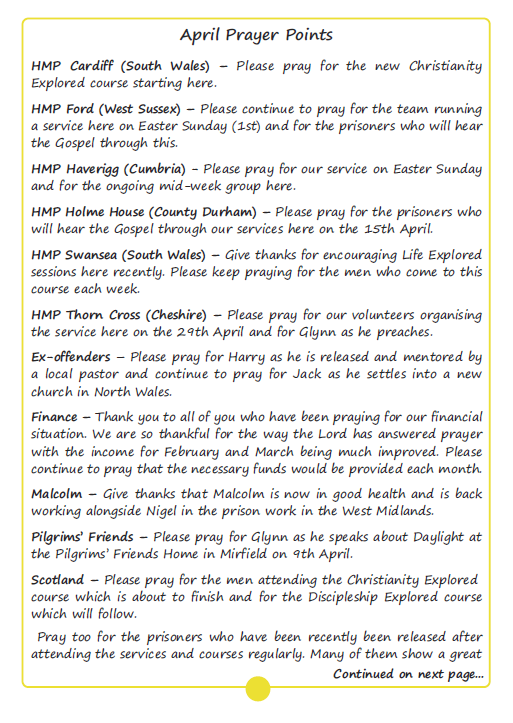 We are thankful for God’s provision for the work over the last couple of months and for continuing opportunities to run services, Bible studies and courses in prisons. 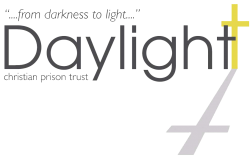 Please pray particularly for Daylight people running services in prisons this Sunday as they share the great message of the resurrection.